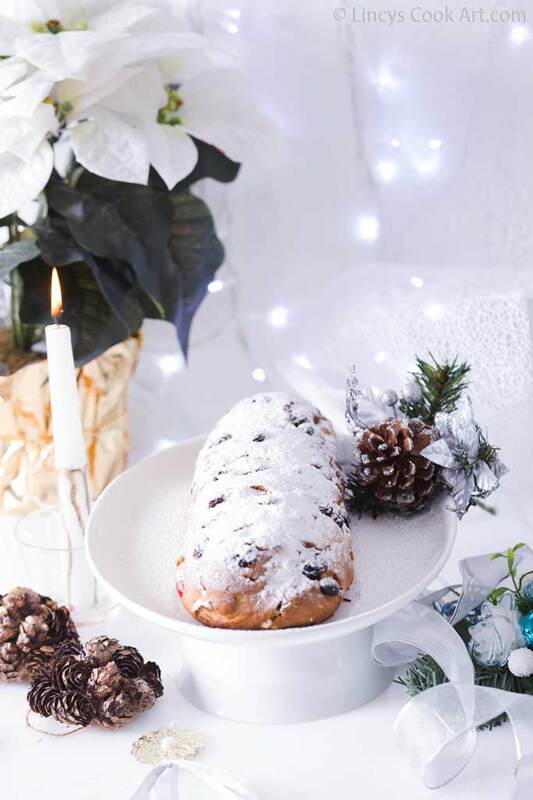 Stollen is a traditional German bread usually eaten during the Christmas season, it is called Weihnachtsstollen or Christstollen as well as Winterbrot (winter bread) when eaten during Jewish festivities, as a indication of the coming of winter. 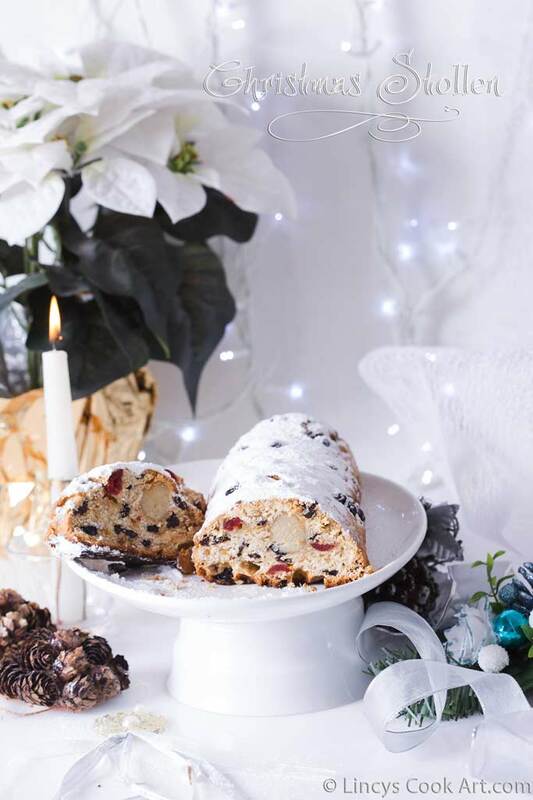 Stollen is a fruit bread containing dried fruit and often covered with powdered sugar. It is also called as stollen cake. For me it is a sweet yeast risen bread or cake with christmassy fruits, peel and nuts. Apart from leavening time the bread is so easy if you have the peel and other ingredients in hand. I have already prepared candied ginger and candied orange peel for this Christmas. I had other dry fruits and nuts at home so making this bread was so easy for me. 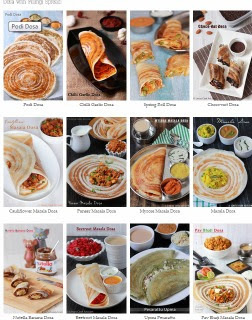 I have referred all recipes site for the recipe and made changes as per my taste and made with marzipan surprise inside. When the dough has begun to pull together, turn it out onto a lightly floured surface, and knead in the currants, sultanas, dried cherries and mixed peel. Continue kneading until smooth, about 8 minutes. Lightly grease a baking tray. Deflate the dough and turn it out onto a lightly floured surface. Roll the marzipan into a rope and place it in the center of the dough. Fold the dough over to cover it; pinch the seams together to seal. Place the loaf, seam side down, on the prepared baking tray. Cover with a clean, damp tea-towel and let rise until doubled in volume, about 40 minutes. Meanwhile, preheat oven to 180 degrees. Bake in the preheated oven for 10 minutes, then reduce heat to 150 C and bake for a further 30 to 40 minutes, or until golden brown. Allow loaf to cool on a wire cooling rack. Dust the cooled loaf with icing sugar, sprinkle with cinnamon and finish with toasted flaked almonds.